Classical and reserved in looks, yet bold and extrovert in performance and features few heavy-duty spin reels can match Catalina for power, precision and price. Hi-end performance blended with quintessential Daiwa class and value Catalina draws its design cues and inspiration from Daiwa’s flagship heavy-duty super reel, Saltiga, to deliver anglers a reels that’s feature loaded, performance packed and value laden. Hi-end quality and class at an affordable price, few reels stand and deliver with the authority and integrity of this monochrome super reel. Daiwa’s newest heavy-duty super reel starts with Daiwa’s legendary Real Four design formula. An amalgamation of Real Engine, Real Control, Real Endurance and Real Custom. Real Four gives rise to spin excellence that is unrivalled in design, performance and quality. The Catalina’s Super Metal body and side plate forms a reel body that is four times more precise than a machined magnesium body, with its super aluminium alloy material high corrosion resistant, making it the ultimate body for the highly corrosive offshore environment. Rigid, strong and highly durable the Catalina’s unyielding body allows for seamless gear function and prevents twisting when the reel is under load and results in greater cranking force. Reaping the full protection and strength benefits of the Super Metal body is Catalina’s technologically advanced Hyper Digigear system. 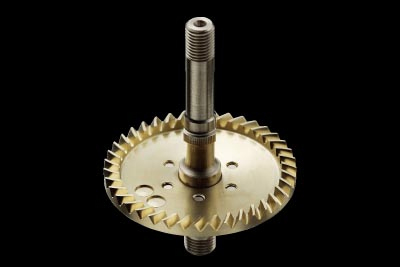 A highly evolved drive system Hyper Digigear features a high precision cutting technique that achieves perfect gear meshing and ultra smooth performance. Made from a new age alloy, Hyper Digigear is ultra strong, corrosion resistant, and lighter and stronger than any gear that Daiwa have developed before. This reduction in weight allows larger gears to be used, in-turn achieving greater gear and reel durability, making the Catalina superior in gear performance, strength and precision. 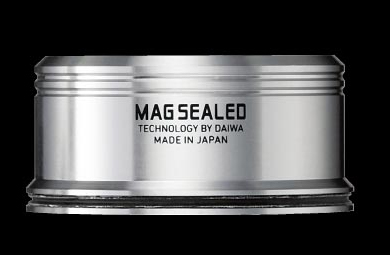 The finest reel body and gears calls for only the best and most advanced protection and there’s no better protection than Daiwa’s innovative game changing Mag Seal. A revolutionary new system that changed reel design forever when it was introduced in 2010, Mag Seal involves scientifically designed magnetized oil that forms an impenetrable seal that prevents, dust, water and salt intrusion, and eliminates oil spray associated with traditional non-magnetized seals. Slamming the door shut on reel destroying elements Mag Seal delivers unprecedented protection and improves the performance and extends the life of reels. Protection and performance is further enhanced with Catalina featuring CRBB ball bearings. Unlike standard bearings CRBB bearings are shielded for extra protection to seal out sand, fine grit, salt crystals and other abrasives for extended bearing life.Ultimate protection and performance go hand in hand in Daiwa Catalina. A quality reel needs a quality rotor, and Air Rotor is exactly that. 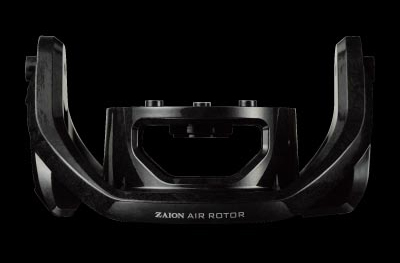 Lighter, stronger and more balanced than any rotor system that’s come before, ‘Air Rotor’ features a Zaion made, precision engineered arch that provides exceptional line roller support and disperses pressure to the lower section of the rotor to reduce stressing and flexing. Air Rotor design is further enhanced with a hollowed out construction reducing weight, while increasing reel sensitivity and rotational balance. Providing unrivalled strength, balance, and lightness, Air Rotor is the ultimate rotor for the ultimate heavy-duty spin reel. Daiwa’s innovative Tough Airbail provides trouble free line control and features a hollow tubular stainless steel, protrusion-free, bail arm design that allows line to slide unencumbered along the Airbail towards the line roller. Featuring maximum rigidity and strength, yet minimum weight, Tough Airbail eliminates post-cast loose line snagging and hanging up on the reel for improved casting performance. Twistbuster II delivers line taming and twist reducing benefits on the retrieve, while Daiwa’s famous ABS II spool technology eliminates unwanted loop issues on the cast. Silent Oscillation enhances the reel’s whisper quiet and silky smooth operation. The most advanced Silent Oscillation system that Daiwa’s has ever created increases gear durability, while reducing weight and oscillation resistance. A Manual Bail Return and Daiwa’s Rotor Brake system delivers ultimate bail arm and rotor control. The manual bail arm allows for fingertip control of the bail arm, while the rotor brake locks the rotor in place when the bail arm is open for complete casting control. The Catalina’s line roller system is tailor made for heavy tackle and the demands of offshore angling, with a water tight, wide open line roller made to accommodate heavy leader, while a rubber sealed ball bearing line roller ensuring ultimate line roller protection and longevity. The Catalina’s list of impressive features and stats don’t end there with Daiwa’s UTD (Ultimate Tournament Drag) delivering 10kg of drag on the smallest model in the range (4000), while the largest model (6500) in the range dishes out a whopping 30kg of drag. With low (4.9:1) and high-speed models (5.7:1) in the range Catalina is a series that offers much and delivers plenty. With 10 ball bearings, a tonne of line capacity and a lightweight EVA handle knob that allows you to reap the full power of the reel with unrivalled ease and comfort the Catalina is a reel that’s designed to perform, and built to excel. Saltwater spin reel excellence has a new name and new price tag with Daiwa Catalina. In addition to the normal stopper. Catalina is armed with a second mechanical stopper with exceptional smoothness and durability. So in case of a stopper fail out emergency there is a backup.